When created by Congress in 2012, one of the Gulf Coast Restoration Council's purposes was to distribute a portion of the federal civil penalties resulting from the Deepwater Horizon oil spill litigation. They will take public comment on Deepwater Horizon spill recovery plans on March 12, at the Pasadena Convention Center, from 6-8 PM, doors open at 5:15 PM. 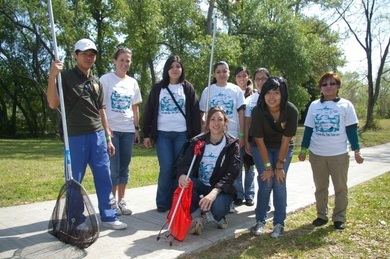 For information on the Gulf Coast Restoration Council, and its mission, visit http://www.restorethegulf.gov. For more information on this meeting, visit http://www.tceq.texas.gov/agency/gulf-council.html. Computer manufacturers reported collecting more than 43.8 million pounds of electronics from Jan. 1, 2012, through Dec. 31, 2012. The TCEQ allowed computer manufacturers to report other electronics collected, not just the computer equipment covered under the program. Currently, 90 manufacturers representing 133 brands are participating in the computer recycling program. As part of the program, computer manufacturers collected more than 24 million pounds of covered computer equipment in 2012. Of that collected weight, more than 20 million pounds were recycled and 3.7 million pounds were reused. Read the entire report. 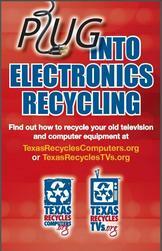 The TCEQ encourages consumers to take advantage of electronics recycling opportunities in 2013. Texas consumers can learn how to recycle their computer equipment online at TexasRecyclesComputers.org, and their television equipment at TexasRecyclesTVs.org. Once a year, thousands of volunteers gather along the Texas waterways to do their part in cleaning up the environment and participate in the largest statewide event to educate the public about the importance of our water resources. On March 23, YOU can join them and clean it like you mean it! Find the answers to commonly asked questions about the emergency application of pesticides to control health risks. What is an emergency pest situation? How should I respond to a pest emergency? What if I contract with a local pest-control service? What are the requirements for an emergency pesticide application? The TCEQ oversees the collection, processing, and recycling or disposal of over 24 million tires discarded each year in Texas. Proper management of used and scrap tires benefits the environment and public health. Anyone who stores more than 500 scrap tires must register with the TCEQ; however, the scrap tire rules apply to all generators and handlers, regardless of whether they are registered. 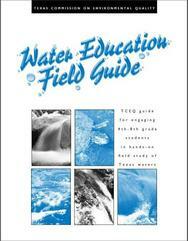 Guide for engaging 4th to 8th grade students in hands-on field study of Texas waters. A bookmark with tips for reducing pollution. Dual-sided in English and Spanish. Connect with Take Care of Texas to find out about environmental events, tips, and interesting tidbits from fellow Texans. Plant a native landscape, which requires less water, fertilizers, and maintenance—saving you money and time. When packing your lunch, try using a reusable container that allows you to take home your leftovers. Did you know that the average American family can waste more than 11,000 gallons of water every year due to running toilets, dripping faucets, and other household leaks? Fix leaky faucets; they can drip at a rate of one drop per second and waste up to 3,000 gallons per year. Find more tips at TakeCareOfTexas.org. The TCEQ values your opinion on how we are doing and how we can improve—fill out a survey today. Go online, or request a paper copy by calling 800-687-4040. Update your subscriptions, modify your password or e-mail address, or stop subscriptions at any time on your User Profile Page. You will need to use your e-mail address to log in. If you have questions or problems with the subscription service, e-mail support@govdelivery.com. How is our customer service?Fill out our online customer satisfaction survey at www.tceq.texas.gov/goto/customersurvey.